Christmas is a ribbon wrapped around an entire year, complete with a beautiful bow on top. For some, this bow brings hope and anticipation for the new year. 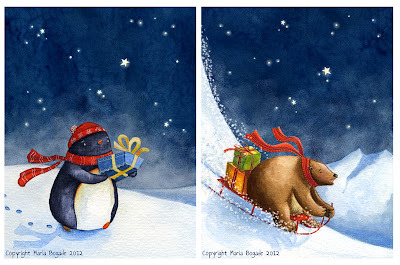 Others cling to Christmas for fear or sentimentality, dragging their feet in the snow to keep the new year from coming. With an entire twelve months in front of us. A clean slate. Ready for the filling in of ideas, dreams, hopes, aspirations… a chance to pause and dream. But sometimes the screaming monkeys drown out my dreaming. Those voices that remind us that we didn’t achieve any of the goals we’d set last year- so why set new ones? You’re just a failure. A fraud. A wannabe with no talent. Anne Lamott says to take those screaming monkeys and put them in a jar. LOCK. THEM. UP. One by one… pick them up by their scraggly little tales and put a lid on ‘em. Because you deserve to dream. Let go and believe for a moment, that all of your hopes for this next year are actually possible. And not just possible, but that you will achieve them. Why not? Words from The Mockingjay recently grabbed my attention. The rebel government needed some promo videos to prove that the least likely of people (Katniss) could change the world. But whenever they called “Action!” the results were total flops. Haymitch, Katniss’s mentor, called a meeting. Are you following me here? Don’t let people put you on a set and tell you how to perform. I’m going to bet that most of what the children’s literature market finds incredible didn’t come from a scripted equation. A wild, carefree, dare-to-dream-and-believe-it heart. So let’s mix up Haymitch’s words about Katniss, and make them about your literary hero (illustrator or writer). Move people to feel something real. And realize that it probably won’t come from how great your twitter profile sounds or what you wear to a regional conference. Now let’s talk about your last year. Maybe you created a fabulous website, or bought a Pride and Prejudice Book Scarf (these are really cool, folks) or wrote a halfway decent manuscript. Maybe you won a contest that gave you some PR. But when did you make someone feel something real? I know when I listen to some of you talk about the stories you are working on… there’s a light in your eyes. You beam. That moves me. When I hear or see you encourage a fellow artist… applaud their success while you still long for your own, or give of your time and energy to help another along… there’s a dazzle. When you put your “baby” out there and you show your illustrations or first drafts… and I see you in them. Your passion. Your talent. Your unique bent in the world. I’m encouraged that my uniqueness has a place too… and I can also be brave to share it. So tie that big ‘ol ribbon on the gift package of 2013. Put the screaming monkeys in the jar and screw the lid on tightly. Then dream. Decide what this next year will hold for you and aim for the moon. And don’t let anyone dictate how the journey of 2014 will look. Throw yourself out there in all your excitement and passion and see what happens. Or, as Haymitch said of Katniss, “Put her out in the field and just keep the cameras rolling.” That’s when the magic will happen. 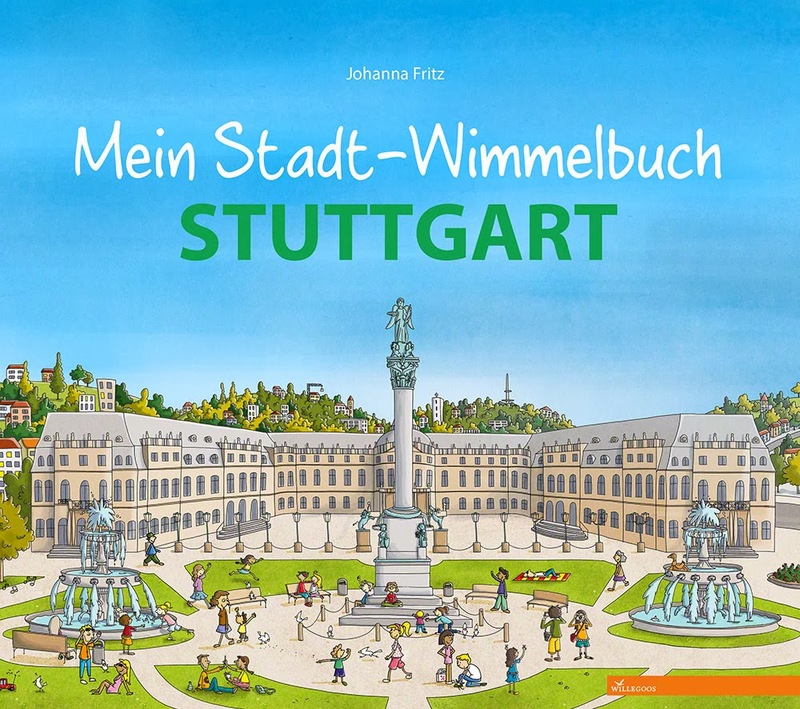 Winner Announcement of the giveaway of Johanna Fritz's "Mein Stadt-Wimmelbuch"
We are running a little late on announcing the winner of Johanna's beautiful picture book "Mein Stadt-Wimmelbuch Stuttgart". Thanks again to all who have entered the giveaway! 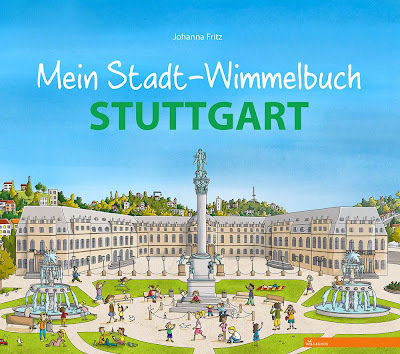 The winner has been randomly chosen and the book goes too … Binenstich! Please get in touch and let us know your snail mail address so the book can be shipped to you as soon as possible! 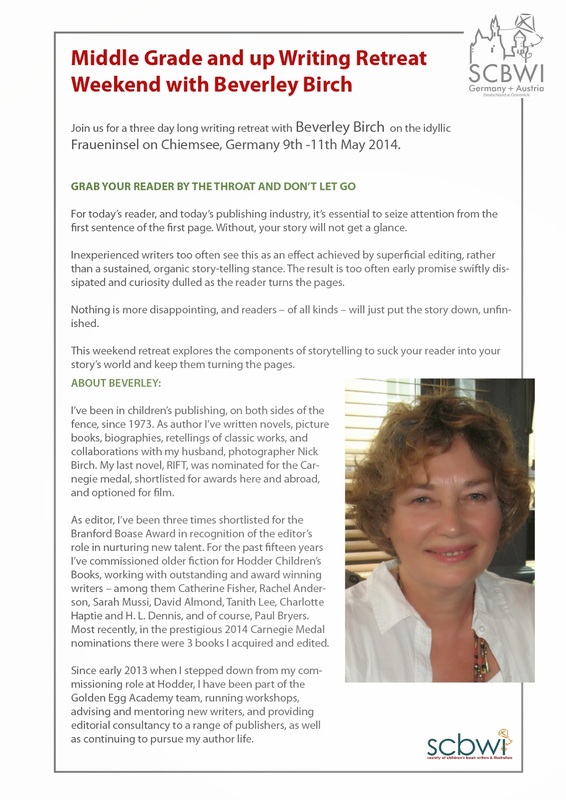 We are very excited to be able to announce our writing retreat with Beverley Birch next year 9th - 11th May 2014! The retreat is tailored to writers of middle grade books and up and there are only 10 seats available! 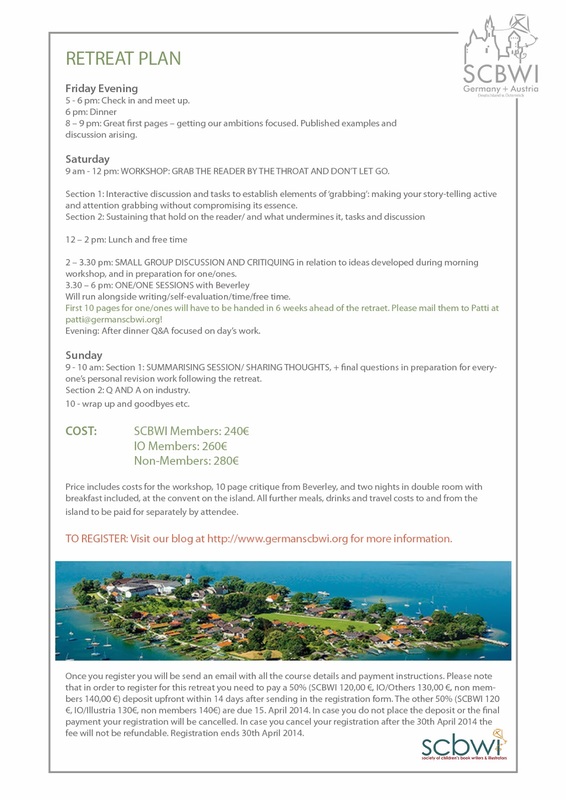 But please see details below and find the registration form for this lovely weekend on the Insel Frauenwörth right in the middle of Lake Chiemsee at the bottom of this post! If you have questions regarding this event, please get in touch with our ARA Patti!